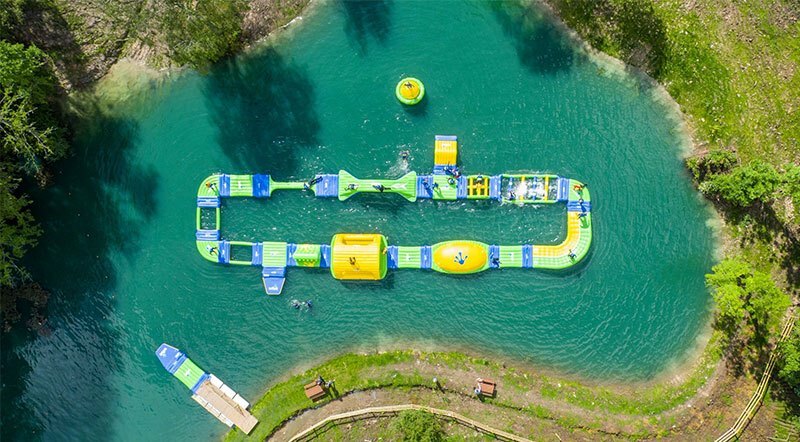 Dorset Waterpark is a huge Woodland Waterpark spread over two lakes overlooking Corfe Castle. Each lake features different challenges for you to tackle. They run 1 hour sessions (half an hour on each lake) for ages 6 and up. They have a great bunch of staff here at Dorset Waterpark and take pride in offering an experience that will be remembered for a long time!